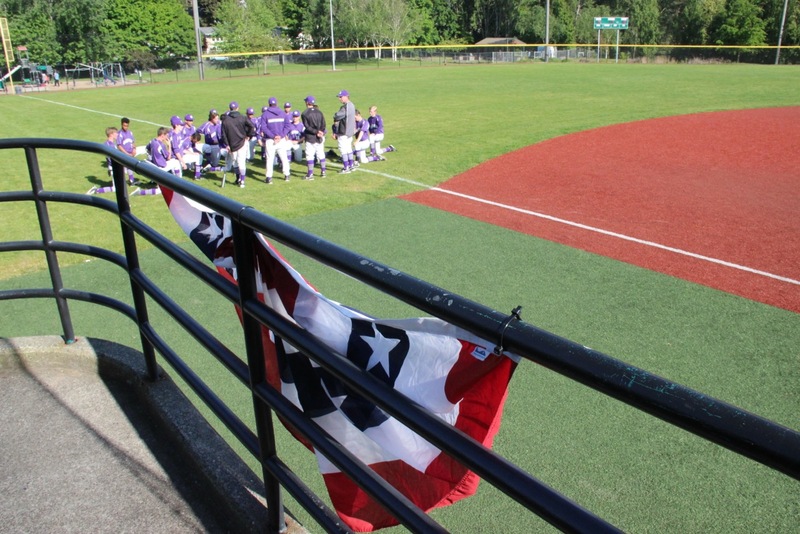 The Garfield Bulldogs lost 4-2 in a consolation bracket game with state tournament implications. The Eastside Catholic Crusaders were the #1 overall seed in the conference tournament, but had suffered a loss to O’Dea in their previous game. Early in the season, Eastside Catholic hit the ball hard all over the yard against the Bulldogs, but this playoff game was a much tighter affair, exciting to the final out. Aidan Miller of Garfield was touched for three runs in the 1st inning in a short outing. Henry Freed pitched a couple scoreless innings of relief and was followed by Spencer Mann making his season debut on the mound. The defense did its part in backing up the Bulldogs pitchers. 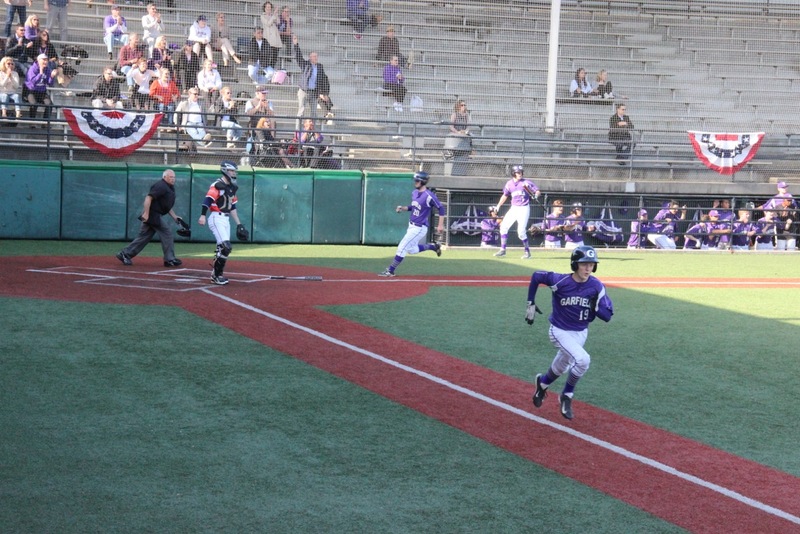 The Crusaders defense lucked out on a sliding catch by their right fielder, a diving play by their first baseman on a grounder, a diving play by their shortstop on a liner that he would drop and throw the runner out, and a great play ranging up the middle to record an out on what appeared to be a line drive single for Garfield. Eastside Catholic’s pitcher threw a complete game and had great command of his breaking ball and fastball all afternoon, holding the Bulldogs scoreless through six innings. Garfield’s offense put up a fight in the 7th inning, stringing together a pair of runs before the inning ended with the tying run at the plate. Henry Freed had a double to lead off the final inning, followed by Kepler Swanson and Jupiter Breuner each driving in a run to narrow the gap to 4-2. Unfortunately, the Bulldogs ran out of time to complete their comeback. See Bill Kossen’s photos. Eastside Catholic earned the #3 seed to the state tournament with the victory. Ballard lost to Seattle Prep, leaving one final Metro 3A playoff game for the week. Garfield (15-9 overall) will take on Seattle Prep on Friday 4:00pm at Steve Cox Memorial Park for the chance to be the #4 seed to state. Great year Bulldogs, and nice job Coach Moe!